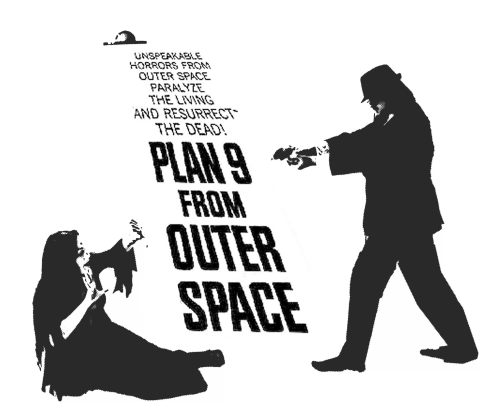 Last night, Dr. Sketchy’s Charleston held their latest event, a tribute to the Ed Wood classic, “Plan 9 From Outer Space.” Shelia Jordan brought Vampira back to life, and Chase Henderson stood in as a Detective and Bela Lugosi’s chiropractor. Above you see a high-contrast title card for the night. Below you see a digital painting of Sheila posing with a Gargoyle (on loan from Magic Makers) and below that another digital painting of a Vampire showdown. Click the images to see them larger.